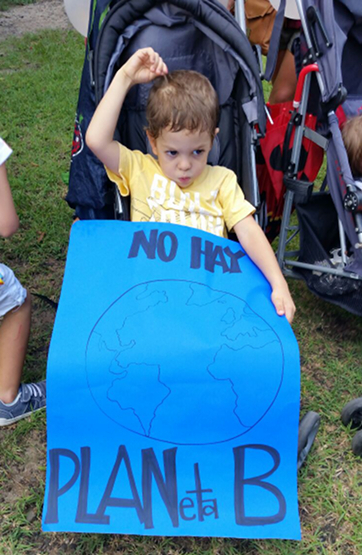 November 29 was a day of global protest about the inability of politicians to reach effective international agreements about ways to slow and eventually stop humanity’s contribution to climate change. In a Paris that’s nervous after terrorists attacks there were restrictions on public gatherings, while in Washington a group of senators beholden to the US oil and coal industries moved to block any agreement that might be reached at the COP-21 summit. 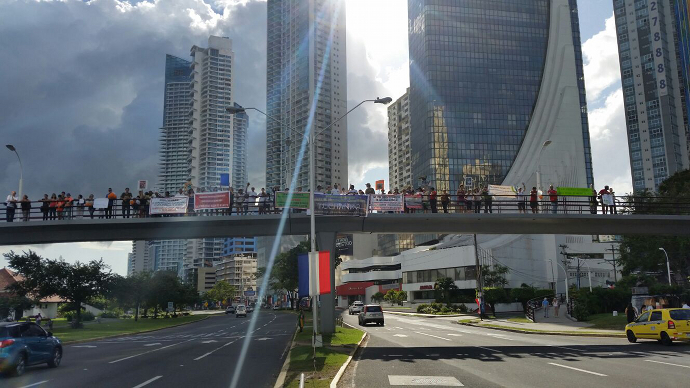 The global debate is also complicated by widespread corruption and land grabbing arising from such “green economy” schemes as carbon bond trading. But the ways to reduce the world’s climate footprint are well enough known and shown to be practical and affordable, with the only real question that remains being how to resolve or resist the claims of various economic interest groups that see their power threatened. None of this stopped the demonstrations in more than 2,400 places around the world. 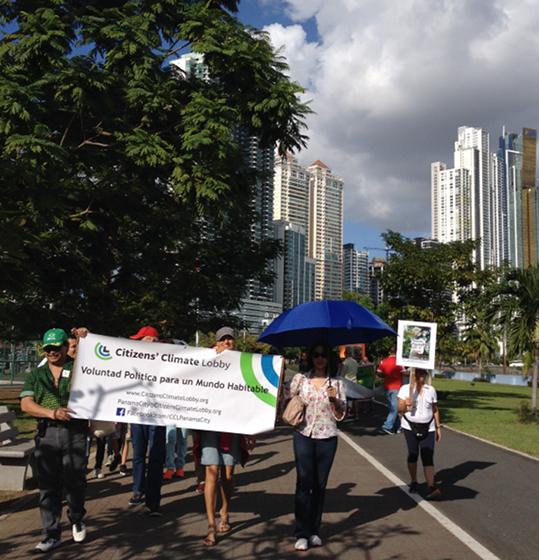 Here in Panama a relatively new group, a local chapter of the international Citizens Climate Lobby, weighed in on the issue in a capital city largely depopulated during a long holiday weekend. 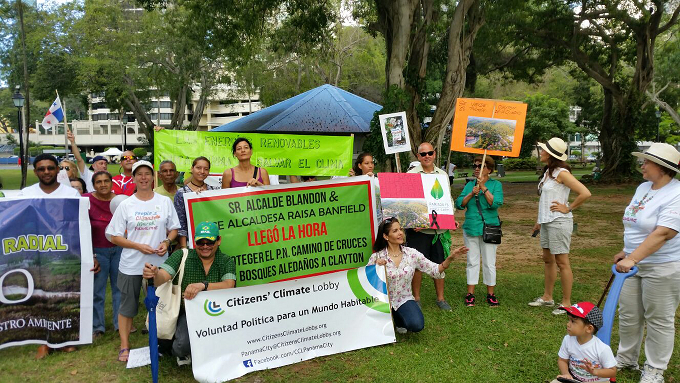 The lobby’s attention was to things local as well as planetary, such as concerns about the destruction of Panama City’s forested areas in an urban sprawl that makes the city even more automobile-dependent.